“Row Porty Petty Cash” : Catherine indicated that the wording as per her email had not been updated. Website: People still having difficulties registering. Action: Catherine to contact Jeremy about running a session for those interested in populating site with content. It was agreed that it is difficult to calculate budgets without the financial documentation from Olly. It is now imperative to receive this information. Action: Olly to circulate. Action: Ian to convene a specific ‘budget meeting’. Happening on 23rd June. Some boats will need to be moved. Contact to be made with those whose who may prefer to move their boats themselves. Lorna has done a guidance document. Subsequent discussions have taken place between Olly and Lynn. Trustees agreed that this process needs to be streamlined and clear to all. Action; definitive guidance required for discussion at budget meeting. PSKC has a stall, which will generate income. Organising group to be convened after the regatta. A new advisor has been appointed, who has worked previously at Port Edgar. A meeting has been suggested for 23rd July. Action: Ian to send invite to available Trustees to attend with him. It was agreed to re-visit this at a later date. Action: Catherine will tentatively investigate any potential planning issues. Trustees agreed that whilst email discussions are important, it would be better to streamline the process and have a single point of contact to investigate and respond to these type of matters or where necessary call a specific meeting to address these. Action: It was agreed that it is the Chair’s prerogative to nominate the best person to be that point of contact, specific to the nature of the enquiry. It was also agreed that all Trustees familiarise themselves with the specifics of the insurance policy as a matter of collective governance. Trustees were asked to consult with their disciplines and draw up a list of activities we require cover for, being mindful of the need to future-proof. Action: Ian will circulate this to more specific watersports cover insurers for quotes with a view to putting in place the best policy on renewal. However, their preference would be that the activity is specified on our licence. A full risk assessment, along with qualifications of instructors was forwarded to Jane Campbell Morrison on Friday. We are in the process of agreeing final parameters for the activity but do not envisage any issues. Action: Andy, Ali to conclude. Trustees were shown evidence of a favourable response to providing safety cover. However, it was stressed that we are in no way responsible for the event itself and that the organisers are responsible for their own public liability. 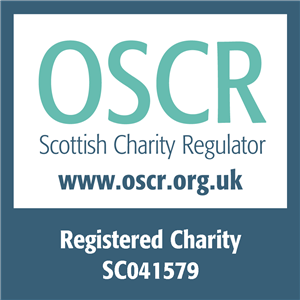 A letter is to be written to Oonah, detailing what PSKC are and are NOT responsible for and requiring Oonah to explicitly confirm her understanding of these terms. Action: Andy to write letter and request confirmation reply. Action: Steve: to circulate latest email. Further detail available from Steve. There are still difficulties signing up, particularly for families where children are not specifically named. Some members also paid through PayPal and therefore need migrated to Go Membership. Jeremy has sent reminders to non payers. Lynn is currently trying to match up payments with names. Action: Ali / Catherine to put message on Big Tent reminding people to pay and to advise if assistance is needed. 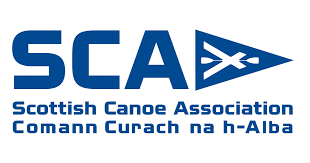 Action: Ian to arrange further email on Monday advising that membership deadline is 30th June and thereafter, non members cannot use club boats or participate in club activities. Storage lists are also being compiled by Lynn, again matching individuals up with payments. A document has been drawn up advising that priority will be given to those who contribute to the running of the club. Sara and Ali to kick-start discussions and draft others in. 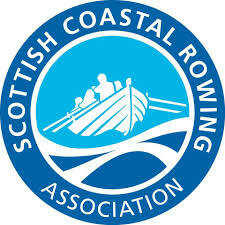 There has been a request from the Dutch coastal rowers who are active in the Scottish scene, to store their skiff for 2 weeks so they can do a bit of travelling around Scotland without having their skiff in tow. Trustees supported this. One of the Row Porty boats will likely be away Lewis anyway, creating a space.